The US dollar was broadly weaker today giving a lift to its major counterparts, especially against the sterling which hit an 8-month high versus the greenback. Helping support the pound were comments by Bank of England Governor Mark Carney on Tuesday which firmed expectations for the central bank to begin raising rates by early in 2016. The pound rose to a high of 1.5537 in early European trading before falling just below the key 1.5500 level. Focus now turns to UK GDP data due on Thursday. This will be a second estimate for the fourth quarter of 2014. There are no revisions expected, with many forecasting the figure to remain at 0.5% quarter-on-quarter. The euro is flat on the day so far against the dollar, after having rallied to a high of 1.1388 early in the European session. The single currency is overall being buoyed by two factors – one, a broadly weaker dollar and two, the approval of Greece’s reform plan, which was a requirement for Athens to receive a four-month extension to its bailout. The Eurozone’s agreement to extend Greece’s loan removed the immediate threat of Grexit and appeased investors’ concerns over the country’s future. There were no economic data releases today but ECB President Mario Draghi’s testimony before the European Parliament later today could be interesting to watch. Meanwhile, the ECB’s targeted LTRO amount is due tomorrow, which could be a risk event for the euro. The softer greenback also allowed the Australian dollar to recoup yesterday’s losses as it rallied to a high of 0.7900 – close to a 1-month high. Chinese manufacturing PMI data also helped support the aussie since China is a major trading partner for Australia. The dollar traded near the lows reached versus the yen yesterday and remains capped below the key 119.00 level. The greenback will likely remain subdued ahead of the second testimony by Fed Chair Janet Yellen later today when she will be appearing before the House of Representatives. Following Tuesday’s testimony before the US Senate, the dollar came under pressure as her comments signaled that the Federal Reserve is not rushed into beginning the rate hike cycle due to weak inflation and as a result is preparing to consider rate hikes on a meeting-by-meeting basis. US data today included new home sales which were little changed in January, coming in at a 481,000 annual pace, versus a 482,000 from December 2014. 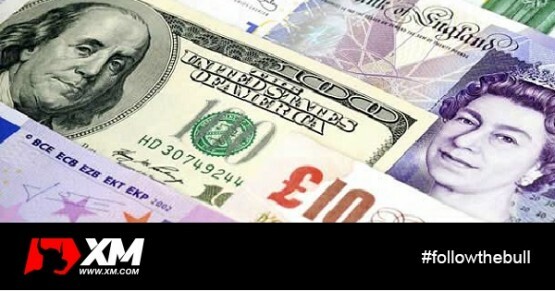 The dollar began to fall after the data was released to 118.84 against the yen.